Posted on February 21, 2018 · Dating and romance are just as important in your 70s as they are in your 20s, according to a new documentary. Posted on February 21, 2018 · On Wednesday's Houston Matters: We check in on a Rice University conference on flood prevention. Then, our experts discuss the latest national, state, and local political news. Then, we compare hurricane recovery efforts in Texas with those in the Caribbean. And a new documentary examines senior citizens in the dating game. Posted on February 8, 2018 · Houston native Nicole Ellis talks about her documentary, Blind Date, which will be screened at the ReelAbilities Houston Film & Arts Festival. Posted on January 2, 2018 · As Americans try new ways to connect, the norms of dating are evolving. So how has online dating changed the connections we make? 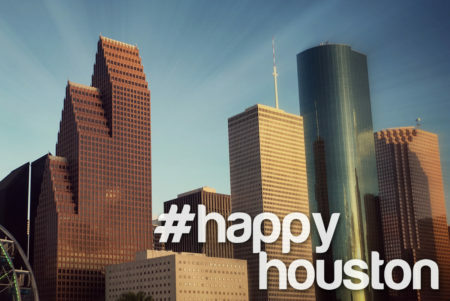 Posted on July 11, 2014 · As a part of Houston Matters’ discussion of being single in Houston — Houston Public Media’s All Things Considered host, Laurie Johnson, talks about her online dating success story. She met her husband online.